For the main Cabbage Patch Kids page click here. The Koosas of Wykoosa Valley were ‘pets’ for the Cabbage Patch Kids and came in 3 varieties- cats, dogs and lions (lions? Why yes, of course lions- what kid doesn’t have a lion in the back yard?). 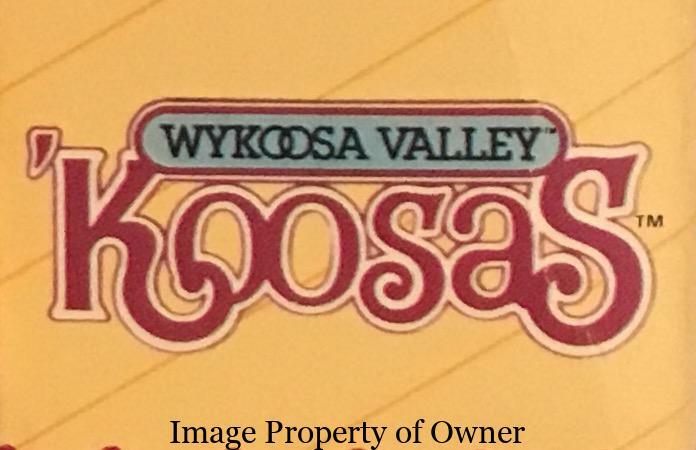 They were designed in 1983/84 by Appalachian Artworks and Coleco, and being pets, Koosas did not come already named; you could send in the included certificate to get a name sticker for your Koosa to attach to the tag on his/her collar. 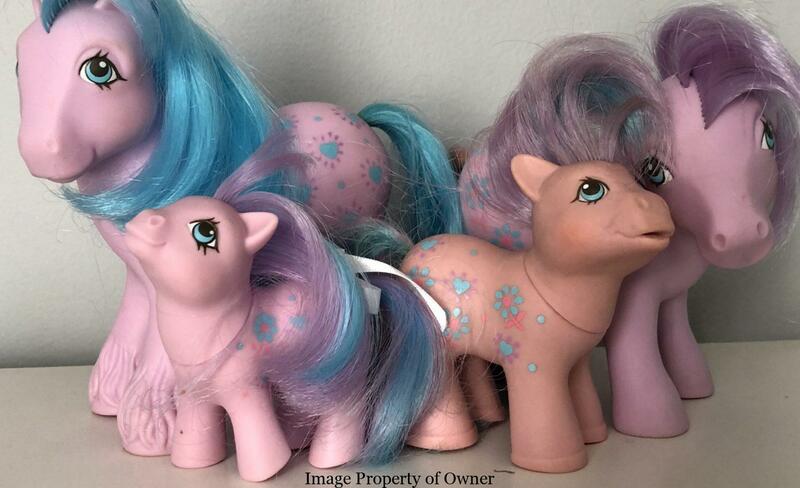 They had cloth bodies and moulded vinyl heads with shaped ears and various fur’dos ranging from topknots to full yarn manes around the face and even came in a CPK-style box with holes poked into the side for air. and went to market in 1985. Debuting in 1986, rarer, second-wave Koosas sport a patch around one eye. Some of these dolls have red and white striped bodies and some have more plush, plump bodies. There were also pets for the pets: smaller Koosa Playmates the same size as the CPK Playmates dolls. And of course, like their ‘Kid counterparts, Koosas came in small rubber poseable figures with yarn hair and even smaller PVC collectible figures. 1. Beige soft-sculptured lions (3) with brown eyes and blushed cheeks, red/ beige plush mane and red/magenta/orange/gold striped bodies. All wear tortoiseshell-like collars, 2 have plain orange short, sleeved shirts, one wears a yellow version. Tagged with a small body tag reading Original Appalachian Artworks. Light brown soft-scuptured kitty w/ no hair, brown eyes and a black nose, dressed in denim overalls with a white/red striped body. Has a body tag marked 1983 Original Appalachian Artworks. 7. Green plushy bunny with broad ears, red heart nose and blue eyes. The face is closer to one of the soft-sculptured ‘Kids and the body is thick and round like a Furskin bear. 8. Girl baby puppy w/ soft plushie bodies and vinyl heads. Has thick pink hair tuft and blue eyes, a white w/ pink trim baby tee and pawprint necklace on a pink ribbon. Body is pink with pink spots. 13. Ideal-boxed yellow lion w/ vinyl head, yellow and white mane and blue, close-set eyes. The pets came out in 1986/87 and were mass-produced plush cats, dogs and bears with a soft-sculptured look, tuft of hair between the ears and oversized feet reminiscent of Furskin bears. 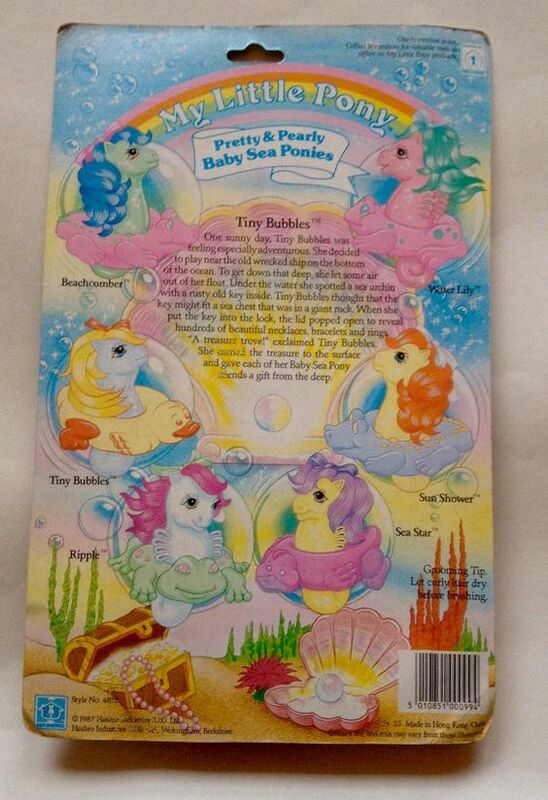 At 6″ high these critters came in a shallwow box with a ribbon collar w/ goldtone CPK logo, leash and a paper hangtag to write a name on. With distinctive little tongues sticking out and a variety of colour combinations, the pets were also unique in that their eyes were basically plastic ‘Kid eyes stuck onto soft-sculptured heads unlike the animal-shaped eyes of Koosas or the painted eyes of other soft-sculptured works. While the dogs and cats stood on all fours, the pet bears sat on chubby hind-legs and were more plushy and round in appearance with oversized back paws. 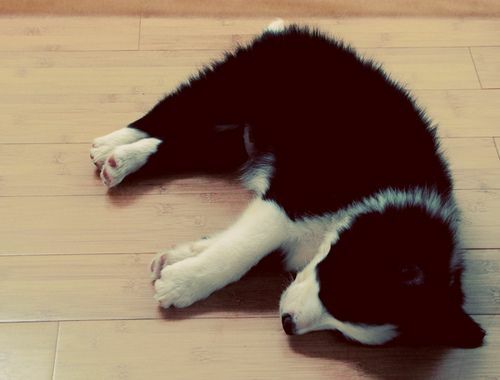 Of the pets, the bears are hardest to find. There were 2 types of equine friends for the Cabbage Patch Kids who had everything else on earth- Show Ponies who came on their own with ribbons and show accessories or with western-themed ‘Kids (there was even a circus pony). 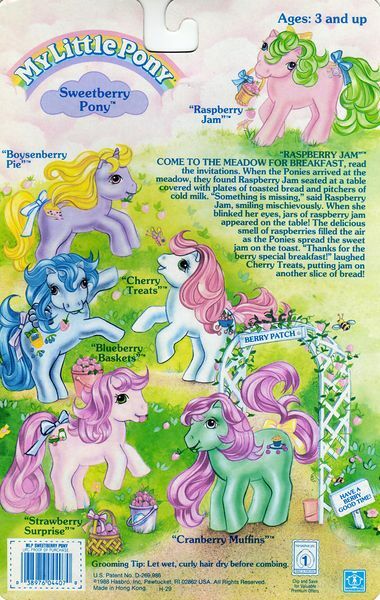 The 1990s, Crimp n Curl Ponies who were closer to their My Little Pony Cousins. The former were stuffed horses with yarn hair, bridles and saddles which you could balance your ‘Kid on to ride and the latter were more plastic-y but still sturdy with lots more accoutrements and colours. Thanxxx! Would you know if Thistle Bear comes with a bottle? As far as I know the doll originally did not- she had a pacifier. There was a small collectible figure that had a moulded bottle though, I’m not sure how big she was. She’s an adorable doll though!!! NO, unfornately Yello80s does not own the items on this page! I wish!